Indian Motorcycle owners that went on a tour around Norway in June have returned with wonderful memories of superb roads and breathtaking scenery. Twenty riders were led by Magne Ingebretsen from the Thunder Twin dealership from Saturday 14th June to Sunday 22 June. 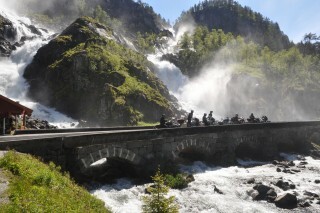 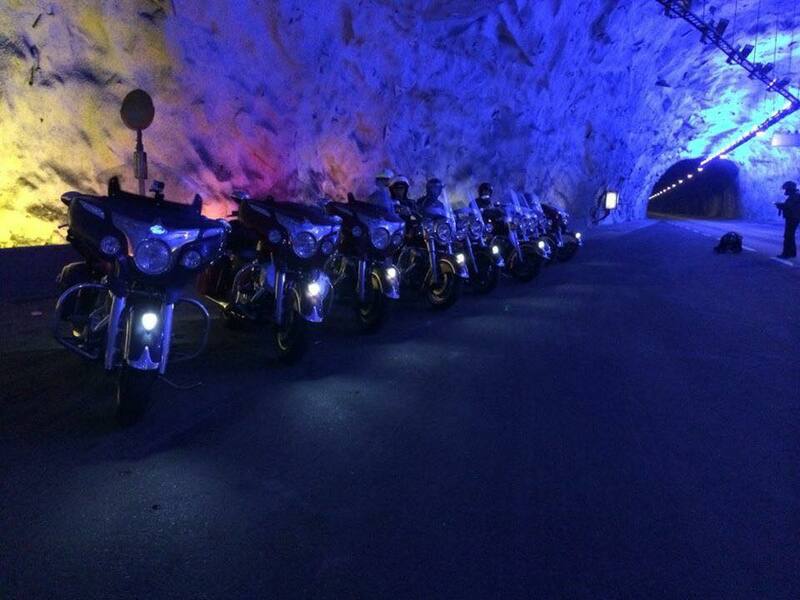 The group rode on the famous Atlantic Road to Molde and along ‘Route 666’ to Trollstigen, a steep, widing mountain road. 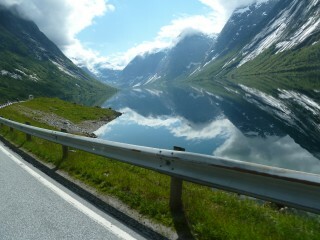 “The final leg from Bergen to Lyngdal was also a great stage in glorious weather through Hard Ager and Ryfylke. The tour went from Bergen to Nordheimsund with a stop at Steinsdalsfossen to contemplate a waterfall that you can walk behind. 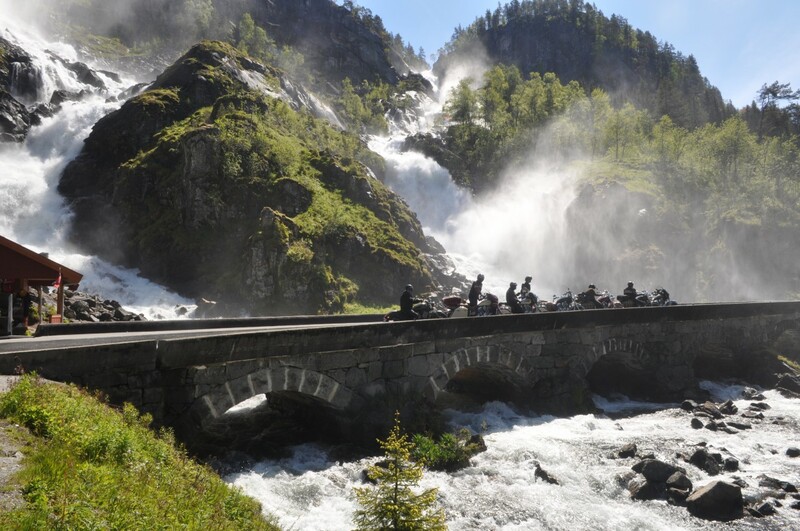 “We then went on the RV13 which is a National Tourist route, through to Hardanger on some ferries, before we arrived Odda and had a short stop at Låtefossen. “We had seen Western Norway from its best side with steep mountains and calm fjords situated between steep mountains with snowy peaks. 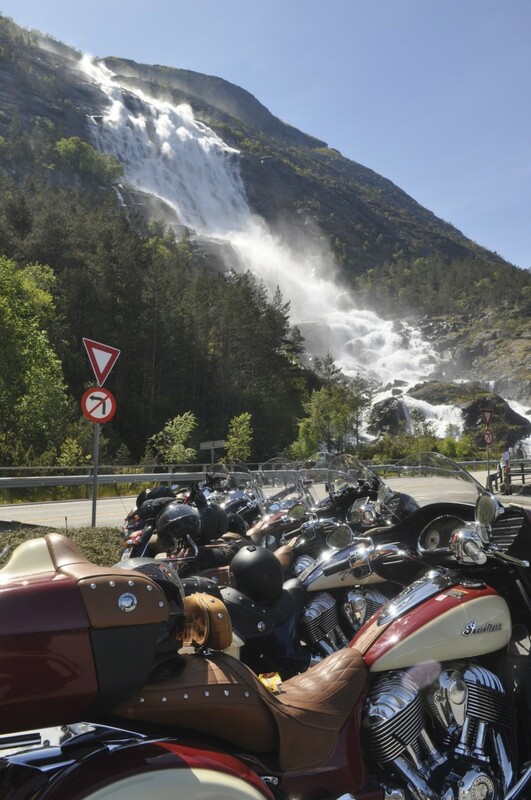 “We stopped at Langfossen to contemplate the wonderful scenery and had a little cheering up before taking the ferry to Rennfast and Stavanger. 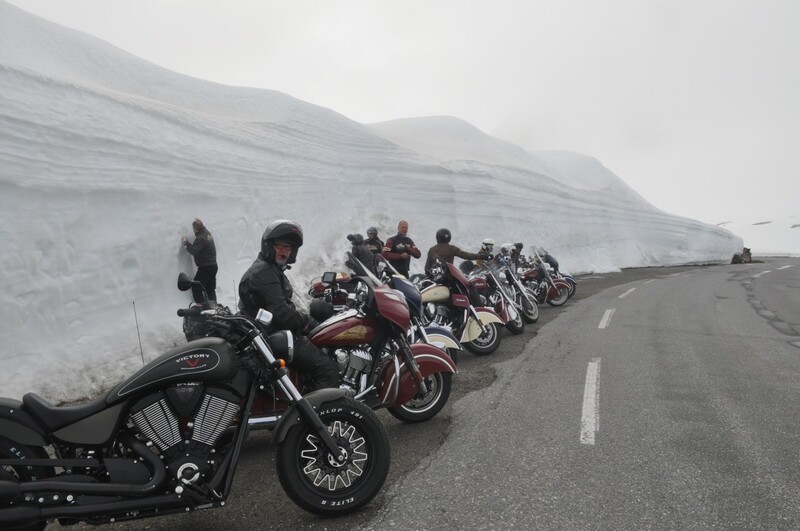 See also the original press release.